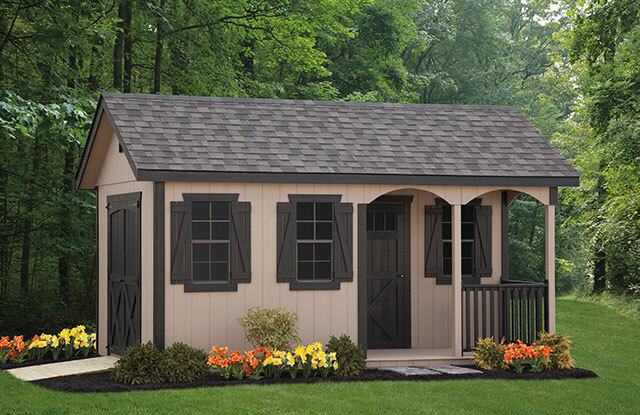 Designed with a covered porch in the corner, our Porch Nook Series can add a touch of class to any yard. 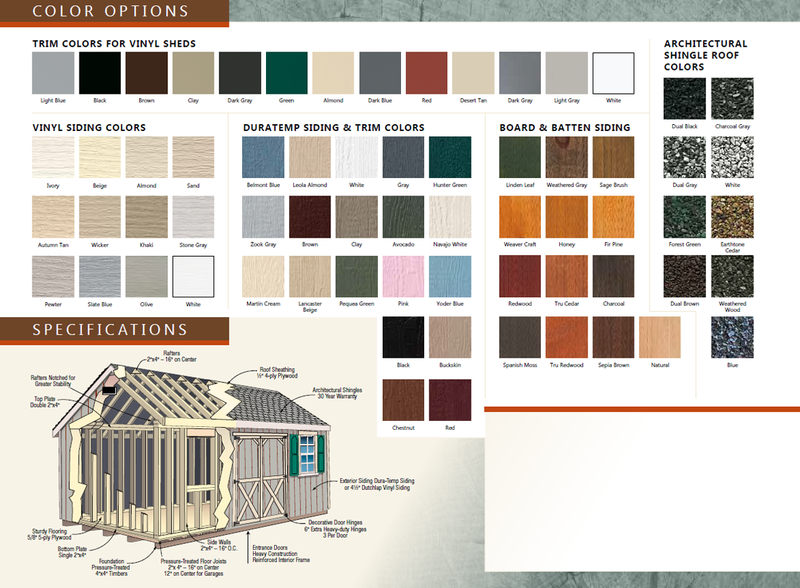 A set of double doors, 2 posts, 1 railing, and 3 windows are among our standard porch nook features. 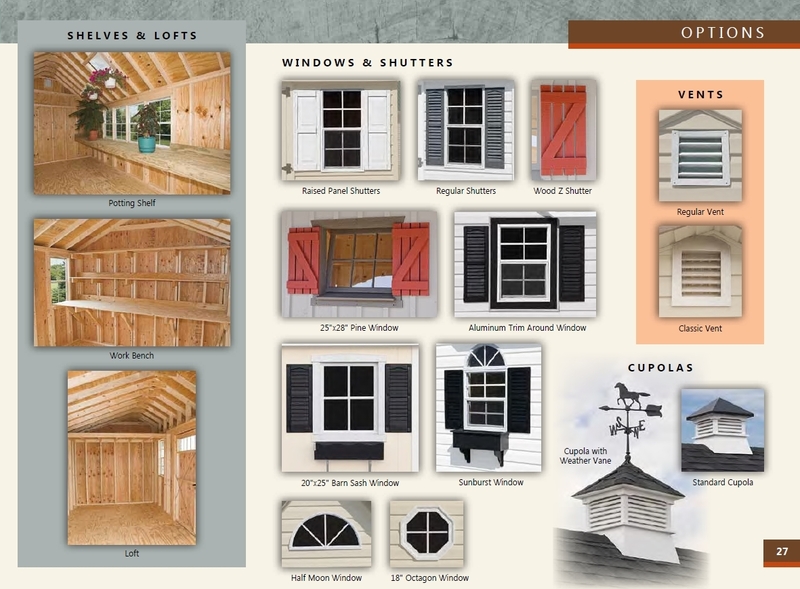 Add flower boxes and decorative shutters and you’ll have a welcome addition to your backyard that can be used for storage or serve as a workshop or an extension of your living spaces. 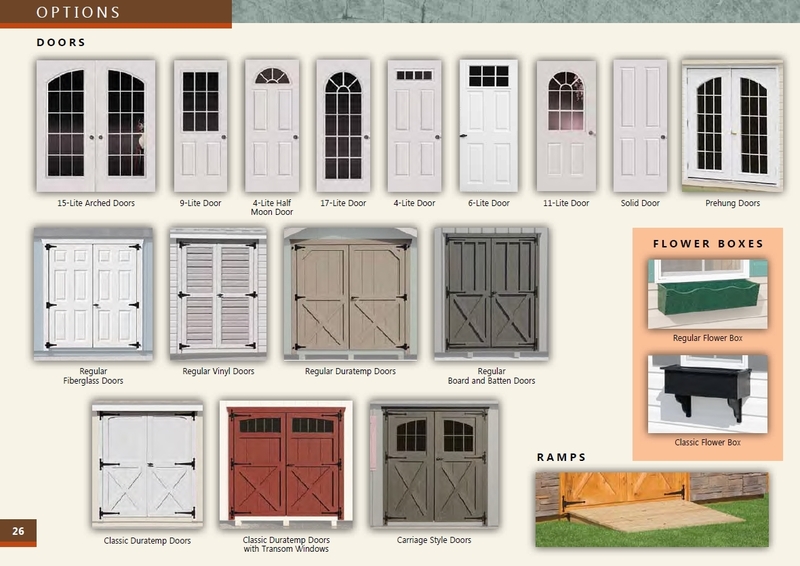 Some models include arched braces, transom windows, classic vents, ramps, and reverse gables.